While adequate intake of certain nutrients derived from food was associated with lower all-cause mortality, nutrients derived from supplements were not, according to findings published in Annals of Internal Medicine. Zhang and colleagues evaluated data from the 1999 to 2010 National Health and Nutrition Examination Survey (NHANES) and National Death Index to determine how dietary supplement use and levels of nutrient intake from foods affect all-cause, CVD and cancer mortality among adults in the U.S. aged 20 years or older (n = 30,899). Participants reported on their nutrient intake from foods and supplements and whether they had used a dietary supplement in the previous 30 days. They were followed for a median of 6.1 years. While adequate intake of certain nutrients derived from food was associated with lower all-cause mortality, nutrients derived from supplements were not. Approximately half (51.2%) of participants used dietary supplements, mainly multivitamin and mineral supplements (38.3%), within the past 30 days. Vitamin C (40.3%), vitamin E (38.6%) and vitamin D (37.6%) were the most commonly used vitamin supplements. Calcium (38.6%), zinc (34.5%) and magnesium (33.3%) were the most commonly used mineral supplements. The researchers identified 3,613 deaths, including 945 CVD deaths and 805 cancer deaths, over the course of the study. 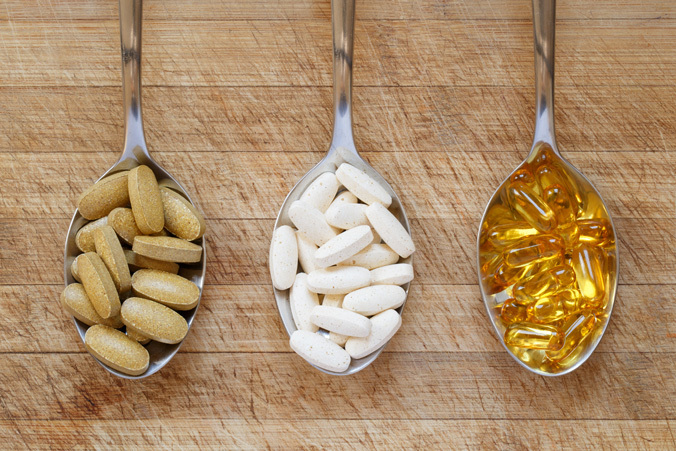 There was no association between ever-use of dietary supplements and mortality outcomes. Participants with adequate intake of vitamin A, vitamin K, magnesium, zinc and copper via foods, not supplements, had lower rates of all-cause and CVD mortality. Participants who consumed excess amounts of calcium, defined as more than 1,000 mg per day, demonstrated a higher risk for cancer-related deaths. This association appeared to be greater when the nutrient came from a supplement. In individuals with low nutrient intake from food, dietary supplements still did not affect the risk of death, according to the researchers. Participants with no apparent vitamin D deficiency who used vitamin D supplements had a higher risk of all-cause death. “Further investigations are needed to evaluate whether certain subgroups may benefit from dietary supplement use, and yet it is clear that dietary supplement use should not be considered as a substitute for a healthy balanced diet,” she added. Disclosures: Chen reports no relevant financial disclosures. Please see study for all other authors’ relevant financial disclosures.